The Grand Opera House is committed to engaging directly with the wider community organisations delivering performing arts activities, creating partnerships to deliver community based projects as well as Festivals and other events throughout the year. If your community group is interested in future partnerships with the Grand Opera House, please contact the Grand Opera House Creative Learning Manager on cl@goh.co.uk or call 028 9024 0411. 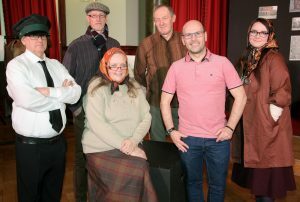 Through this social history project, the Theatre worked in partnership with local community groups to create four new plays to reflect the history of areas across the city over the lifetime of the Grand Opera House, which will celebrate its 125 Anniversary in 2020. These new plays premiered at Belfast Harbour on 11 April 2018 and then moved to the Baby Grand Studio for two public performances at the Grand Opera House. 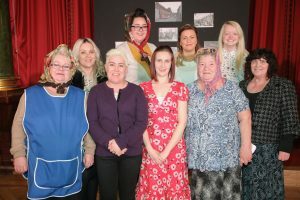 This project was delivered in partnership with c21 Theatre Company and local community groups – Donegall Community Forum Association, Belfast South Community Resource, Carrick Hill Community Centre and Lower Shankill Community Development Association. Working in partnership with Dale Farm, a new piece of theatre was commissioned for children aged 10-11 years of age, highlighting the hazards around the farmyard and the importance of working safely. The play toured to 21 rural schools across County Antrim, and was accompanied by a workshop through which the children further explored the areas of danger, the risks involved, and how these can be avoided. The project culminated with three performances at The Balmoral Show, Northern Ireland’s largest agriculture show, on Friday 18 May 2018. This project was delivered by Pintsized Productions.